Obituary – Province, John Henderson « Perry High School Alumni Association, Inc.
John Henderson Province, 88, died Monday at his home in Bartlesville. Memorial services will be 10 a.m. Friday at First Wesleyan Church with visitation beginning at 9:30 a.m. followed by services conducted by the Rev. Joe Colaw. Graveside services will be 2:30 p.m. Friday at Grace Hill Memorial Cemetery, Perry. In lieu of flowers, memorial contributions may be made to First Wesleyan Church, Bartlesville. Mr. Province was born Oct, 8, 1907, eight miles north of Perry, Oklahoma Territory, at the rural homestead obtained by his grandmother, Cassandra Ann Rose Province, in the Land Run of 1893. He was the oldest of seven children born to Joseph Spencer Province and Willa Lenore Bagby Province. He graduated from Perry High School in the Class of 1927, where he won the state championship light weight wrestling title. Upon graduating he worked for early Oklahoma oilman, Fred E. Cooper, and later joined Phillips Petroleum while working in the Smackover, Ark., oil field. 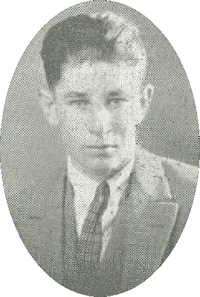 He and his family moved to Oklahoma City in 1935, and remained there until he was transferred to Bartlesville in 1957. He remained with Phillips for 42 years and retired in 1972, as a well service engineer in Bartlesville. He invented numerous processes, innovations and equipment related to the oil industry which resulted in 14 patents. In the 1950s Phillips Petroleum, in a drive to encourage employees to utilize their creative talents, featured him in a promotional post “Your Heat Is A Goldmine – Use It.” In retirement he grew prize-winning iris and enjoyed his hobby of antique clocks. He was married to Helen Doris Green of Magnolia, Ark; they celebrated their 63rd wedding anniversary on Jan. 26. He was a member of Myrtle Lodge A.F. & A.M. of Oklahoma City and was the past chairman of the board of South Lee Methodist Church in Oklahoma City. He was a member of the First Wesleyan Church of Bartlesville. Mr. Province is survived by his wife; one daughter, Marilyn Ann Province Braymer; son-in-law, Dr. Hugh Douglas Braymer; grandson, John Allen Braymer; granddaughter, D.r Jolla Lyn Braymer; daughter-in-law, Lorilin Gibbens Braymer; son-in-law, Dr. Steven Richard Smith; great-grandchildren, Benjamin John Brayner, Jack Alexander Braymer and Arden Noel Smith of Baton Rouge La; a sister, Maxine Province Hartman of Chattanooga, Tenn; a brother, Raymond Spencer Province of Long Beach, Calif; and nieces and nephews. He was preceded in death by this parents and sisters Hazel Province, Lucille Province Clements, Nellie Province Brown and Helen Province Burke.